The Nizhny Novgorod team reached the playoffs but had a first-round exit. After losing to Lokomotiv, the boards opted for a rebuilding. Torpedo had a good season. The team, of course, had some low points, but there were no doubts that it would reach the playoffs. Peteris Skudra showed that he has the ability to build a good locker room, with which he can reach good achievements. Unfortunately for their fans, though, they couldn’t run past Lokomotiv in the Gagarin Cup playoffs’ first round. 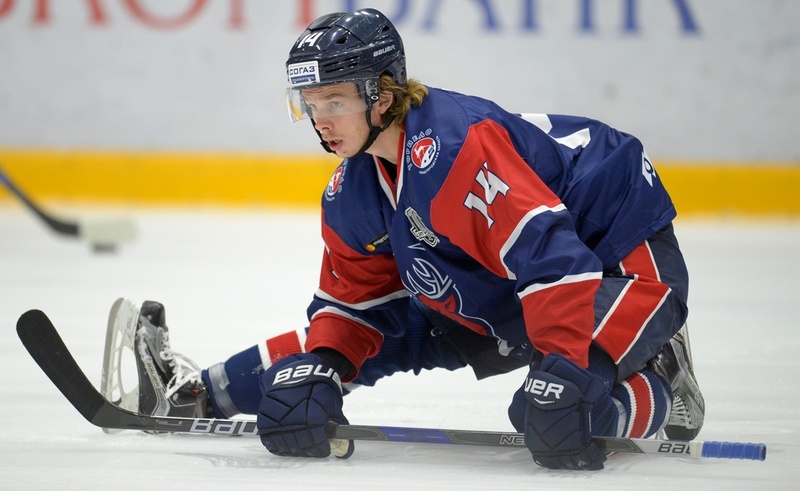 Torpedo was swept by the opposition and Skudra left the team. The Nizhny Novgorod team started the season with an away trip. A result of seven points out of the possible maximum of twelve in the Khanty-Mansiysk – Omsk – Novosibirsk – Astana itinerary is indeed good. But after this promising start, a few misfires didn’t allow the team to have a truly successful first part of the season. The best game of the period was the home win (3:0) against Lokomotiv Yaroslavl, where Torpedo did not leave any chance to the team then coached by Alexei Kudashov. The home team was better in any part of the game. This slightly reduced the pressure on the team’s results. The team then won three straight games and got into the playoffs zone. But during the fall the team didn’t have any long winning streak. The team tried to get the best in each of their games, but there were also some misfires. 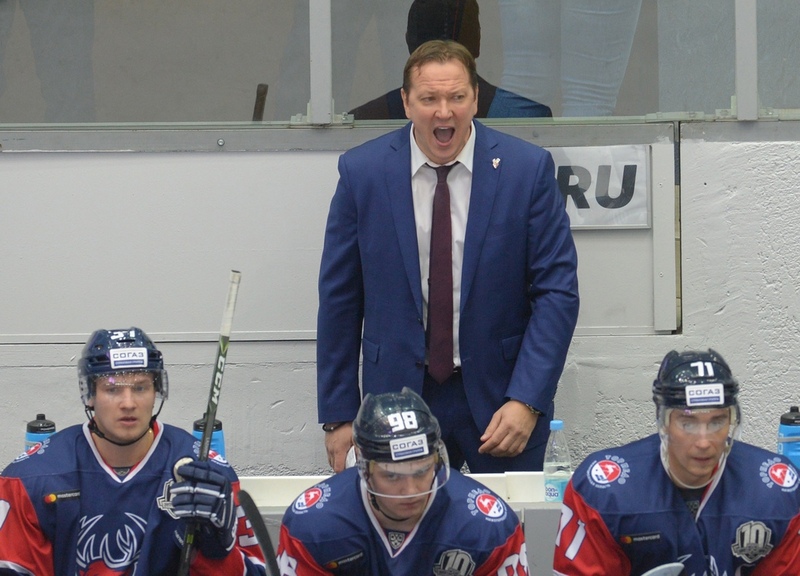 For example, in Minsk, the team coached by Gordie Dwyer had a huge win against Torpedo (5:1). Then, Torpedo lost another four games and left the playoffs zone, until the streak was broken in Moscow, when they defeated Dynamo (1:0) with a shootout win. Unfortunately for the team, the next games were lost again, against Lokomotiv Yaroslavl (1:4) and SKA St. Petersburg (4-5 SO). This way, the win in Kazan against Ak Bars was even more important. It was a hard game, with not many scoring chances and three fundamental points for Torpedo (2:1). In November, Torpedo had five wins in six games and the October bad results were a thing of the past. The Nizhny Novgorod team got to the playoffs as the fifth seed and had to face Lokomotiv in the first round. Maybe in a few years the fans will think that it was an easy win for Lokomotiv, considering the final score, but it would be a huge mistake. All the games ended with just one goal of difference and, moreover, at both games played at the Arena 2000 in Yaroslavl, Torpedo actually scored first. And if in the first game the hosts managed to turn the game around (2:1) still in the middle of the game, the next day Lokomotiv had to battle hard to avoid going to an uncomfortable overtime. Petri Kontiola gifted his team a win just 100 seconds to the horn. In Nizhny Novgorod the fans saw more goals and both games ended up at the overtime, where the guests had a bit more luck. This was in particular true for the fourth game, when during the overtime Torpedo had several good scoring chances. Skudra’s team could well get the series back to Nizhny Novgorod, but they run out of luck. That game was the last for Peteris Skudra at the helm of the team. 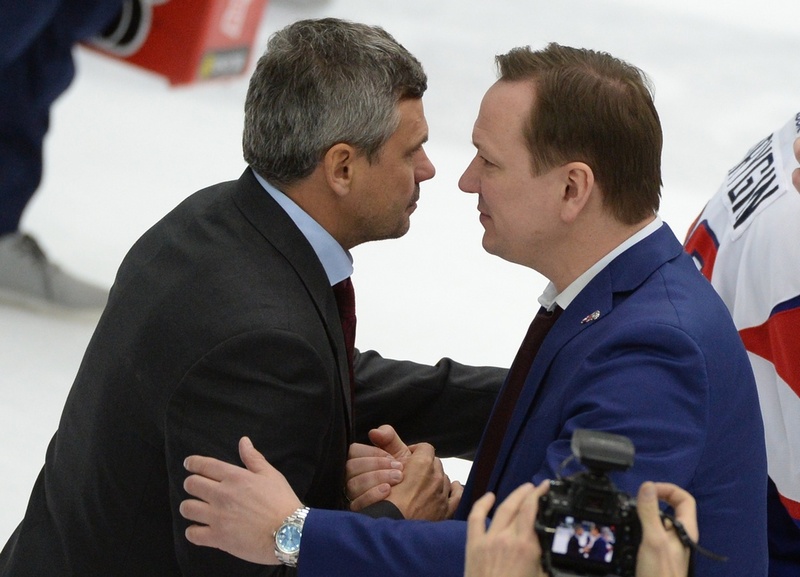 After five years of work with the team, the Latvian coach left Nizhny Novgorod. The team changed also the boards, not only the coaching staff. Yan Golubovsky will be the team’s new general manager. Peteris Skudra spent five consecutive seasons at the helm of Torpedo Nizhny Novgorod. As usual, he changed a lot of the roster during the summer pause, had a very hard preseason and got his team to the playoffs. The fans had a chance to watch the usual Peteris Skudra: very emotional and always eager to win more games. The coach managed to fulfill the minimum goal for the season, but there were more expectations for the Gagarin Cup playoffs. For some time, it wasn’t clear whether Skudra was going to leave Torpedo. But now, it’s a fact. He will be replaced by David Nemirovsky. On November 24, Torpedo got to a city where winning a game is traditionally very hard for away teams. This is about Magnitogorsk. Moreover, Torpedo wasn’t in their best streak, without speaking about the difficulty of facing Sergei Mozyakin and company. But the Nizhny Novgorod team managed to show the opponents their best hockey. The home team didn’t create many chances to beat the goalie Ivan Lisutin, while Torpedo capitalized their chances and the goals by Ivan Zakharchuk and Vladimir Galuzin gave three deserved points to Skudra’s squad. On October 9, Nizhny Novgorod was visited by the future Gagarin Cup champions: Ak Bars Kazan. During the last season, the teams faced four times, and this was the first game of this series. A packed arena in Nizhny Novgorod witnessed an easy win for the away team. Torpedo could not do much, while Vladimir Tkachyov, on the other hand, was unstoppable. He added two helpers of a hat-trick, becoming the main hero of Ak Bars’ huge win. 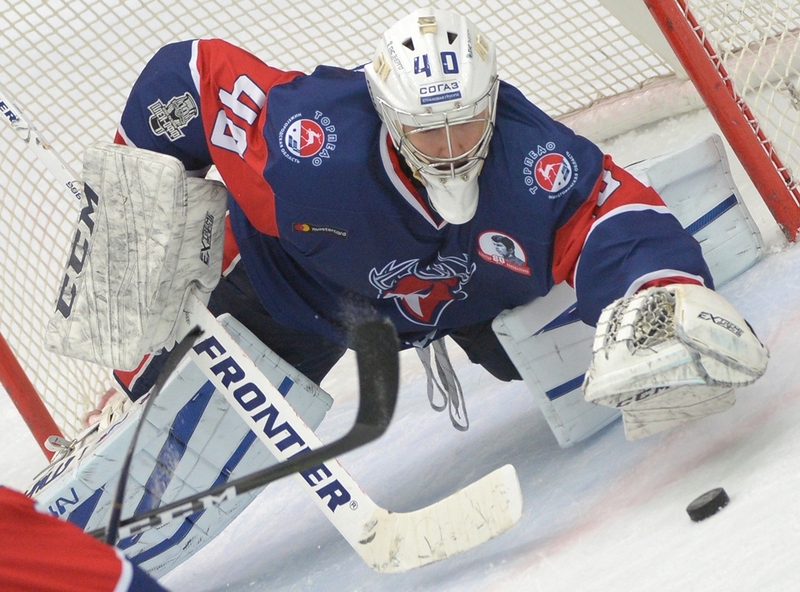 Stanislav Galimov managed to revitalize his career in Nizhny Novgorod. After an unlucky period in Kazan, the goalie’s career seen a new peak. His great year was noticed by both fans and experts. The KHL awarded him with goalie of the month honors in September. And most importantly, playing for Torpedo Stanislav managed to make a big jump forward and become the team’s starting goalie. The goalie definitely didn’t fail in his efforts. In 39 regular season games, he had very good stats with a saves percentage of .917 and posting a goals-against average of 2.13. In Nizhny Novgorod, there were big expectations from Ziga Jeglic. The Slovenian national got to Torpedo during the summer, but he didn’t manage to become a leader for the team. Jeglic had just four assists in fifteen games, without scoring any goal. He was a shadow of himself, and Skudra decided to move on and release him still during the season.